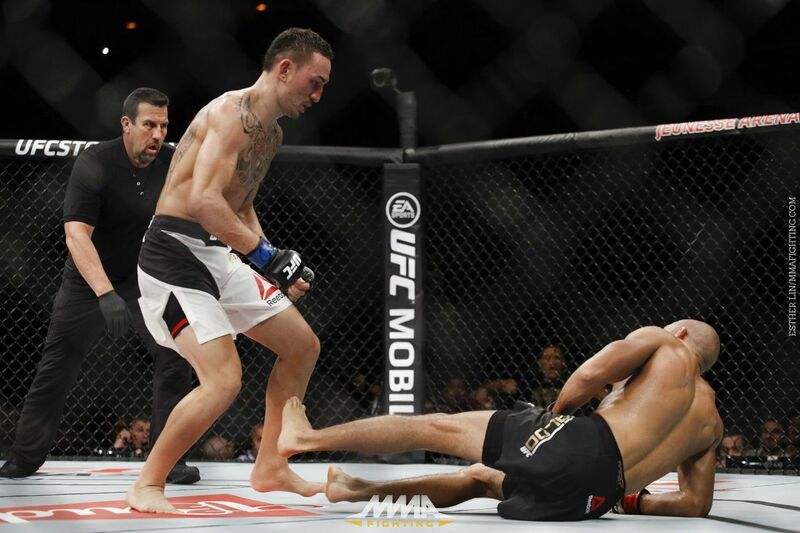 Max Holloway will leave Brazil with a shiny new UFC featherweight belt and an extra $50,000 in his pocket. Holloway’s title-unifying victory over Jose Aldo at UFC 212 on Saturday night in Rio de Janeiro didn’t just make him the undisputed king of the hill at 145 pounds, it also netted him a little extra cash. His third-round TKO finish earned ‘Fight of the Night’ honors, meaning both he and Aldo took home $50,000 bonuses. The were also, per usual, a pair of performance bonuses in the evening. Claudia Gadelha earned a ‘Performance of the Night’ bonus for her victory over Karolina Kowalkiewicz. The strawweight contender stated her case for another shot at Joanna Jedrzejcyzk’s belt with an impressive first-round submission finish. Brian Kelleher, who had a tremendous UFC debut in submitting Iuri Alcantara in under two minutes, took a Performance of the Night bonus after the New York bantamweight submitted Alcantara then spit fire on the microphone afterwards.